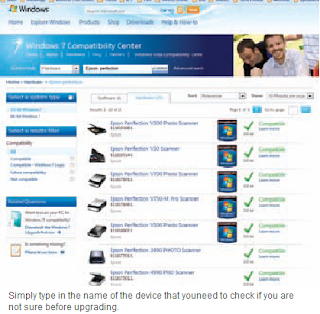 You should know before shifting to Windows 7 whether or not your peripherals like printers and scanners, which you have been using till now, are fully compatible with the new operating system. Note: The list is too long but still incomplete. The new Windows is compatible even for the devices which are not mentioned in the list.